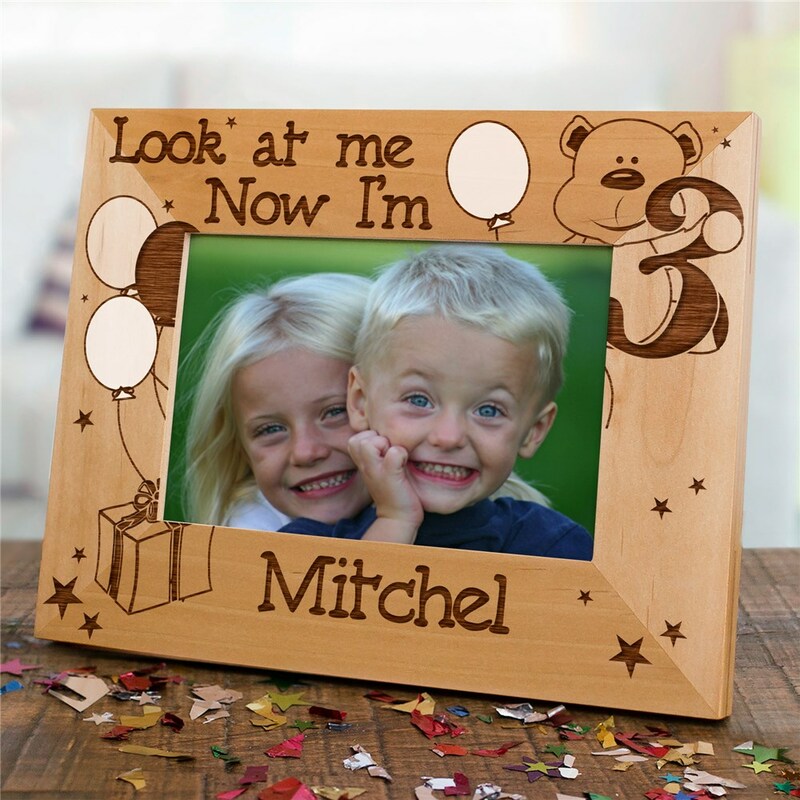 Remember your child's birthday party by placing your most treasured birthday photo inside this beautifully Engraved Birthday Personalized Wood Picture Frames. Our Children's Birthday Personalized Wooden Picture Frames comes in three sizes, please choose from, 4"x6", 5"x7" and 8"x10". Easel back allows for desk display. Includes FREE Personalization! Personalize your Birthday Wood Picture Frame with any age and any name. was given as a gift, very rich-looking in wood tone & thee motif adds to the theme of the frame. Create Lasting memories with our Children's Custom Birthday Frame. Perfect for any Child who is having a Birthday. Complete your gift by adding a Personalized Birthday shirt or Personalized Birthday Keepsake to the mix! We carry a large assortment of Personalized Frames. These Custom Frames will be cherished for years to come. Get your Custom Birthday Frame today!